a new month and a new book! So it’s official – I’ve published my third book, and it’s a children’s book! I’ve entertained the idea in the back of my mind of eventually trying my hands at writing a kids book for a while, but it wasn’t until earlier this spring when I finally found some direction as to what it could be. 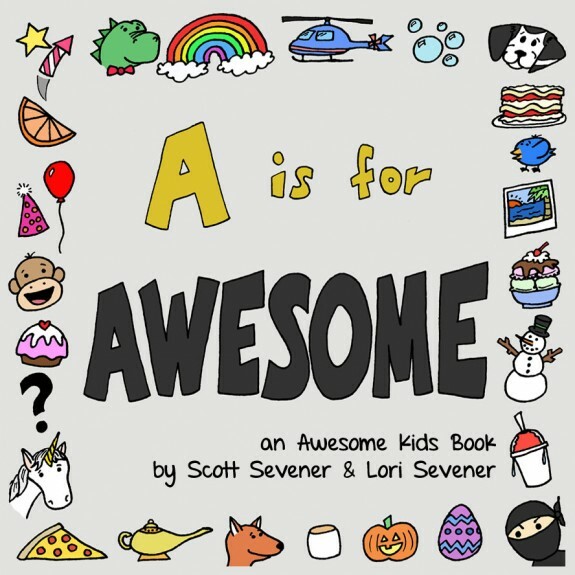 I was out walking the dog sometime around March/April when completely at random, I thought that the name A is for Awesome would make a great name for a children’s book – you know, one that runs through the alphabet letter by letter. The remaining hour of my walk was agonizing because I had forgotten my phone at home and I wanted to look right now to see if the name had already been taken. 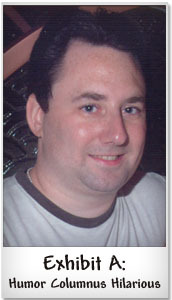 By the time I got home, I was pretty convinced that at least one other person had already come up with the same great idea as I had, but low and behold searching through Amazon and Google – it wasn’t! And thus a dream was born! Really, though, like most of the projects that I work on, a whole lot went into this one, but ultimately I’m pretty proud with how it turned out and I sincerely hope that enough people out there feel the same way and choose to order a copy … not only because I want their money, but also just because it’s a really cute book and fun and kinda different from the typical A to Z books that a lot of children’s book authors have already crapped out. Plus, ours is the first book in a series of awesome books, and although we haven’t really put much thought into the next installment just yet, you can probably expect to see it sometime next year and it’s going to be even more fun than this one is to read! …and the only way you’re going to know what to compare it to is if you buy this one for yourself and check it out! By the way, you can find some sample pages and more info over on the main site for the new book, so please take a gander over in that direction if you find yourself truly interested. I’m very tired now and desperately need to take a well-deserved break this weekend, but 2012 is almost over and I’ve still got more projects on the list to wow you with! 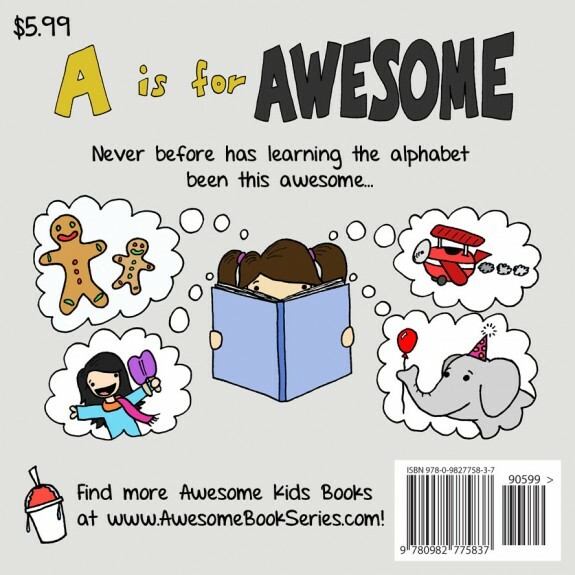 I hope that I can wow you with the next one because it’s really very huge, but in the meantime, whether you’ve got kids to shop for this Christmas or simply enjoy a good book about the alphabet yourself, send me $6 and let me send you a copy to enjoy in return!